Welcome to week #2 of Wednesday Website! If you click the image above you can head to the first week’s post and link-up! NoRedInk is a great, FREE, grammar practice website. Sign up for a login so you can give it a test drive! There’s a quick (but not quite as explanatory as I’d like) demo once you’re signed up. Then you go to class management (2nd from the left on the blue banner) to set up your class. Click “Create New Class”. You enter some very basic information and it gives you an invite code. Students then register using that invite code. It allows students to choose their username and password. I told my kids to use the first letter of their first name and their last name as their username (ie tmaguire) and then I told them a password to use. I am not about to reset passwords every.single.time students go to the page. Ain’t nobody got time for that! 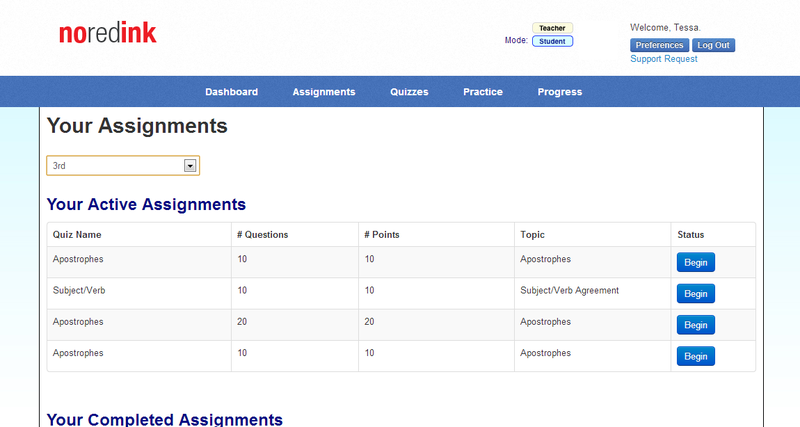 Yo, NoRedInk.com can you set up a feature where teachers choose the usernames and passwords and auto-enroll? That would make this website even more phenomenal! Another nice feature of the site is that when students enroll, they select pop culture items that interest them. They then use that info to target questions to keep students’ engagement. You’ll see more about this below. Once you have a class set up, now you need to get them practicing! Right now there are 4 skills that can be practiced: apostrophes, commonly confused words, subject/verb agreement, and commas/fragments/run-ons. The bonus is that you can further identify exactly what students will practice with that skill. As default I started with all of them. However, for my 3rd graders I later modified it so it was more targeted on what the students actually needed practice with. Here you can see some of the assignments I had my 3rd graders do. Here’s an example of a question. There may or may not be something wrong on this one. Students submit what they think is correct. You see how they used Shakira in the question? Here’s an example of a question that was submitted incorrectly. It shows that it was a 2nd attempt. 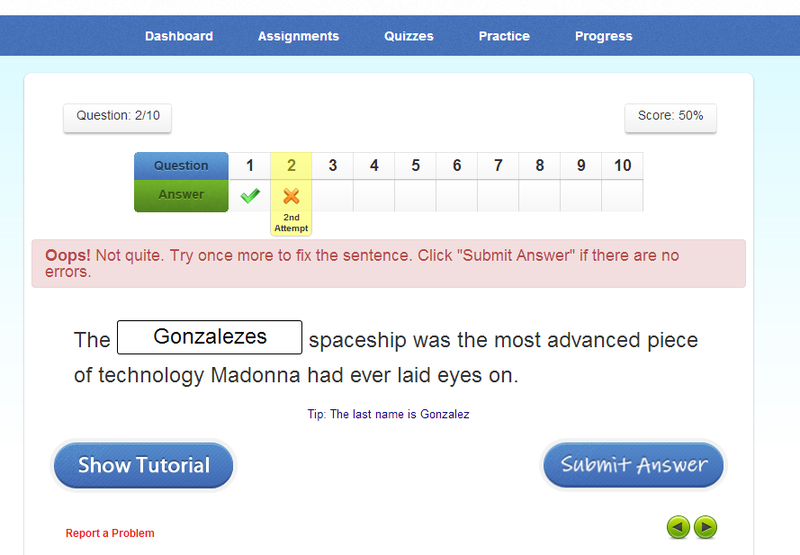 Students try again or they can select to see the tutorial that will teach them about the skill. I had some students go to 5+ attempts and really like that it gives them multiple chances. 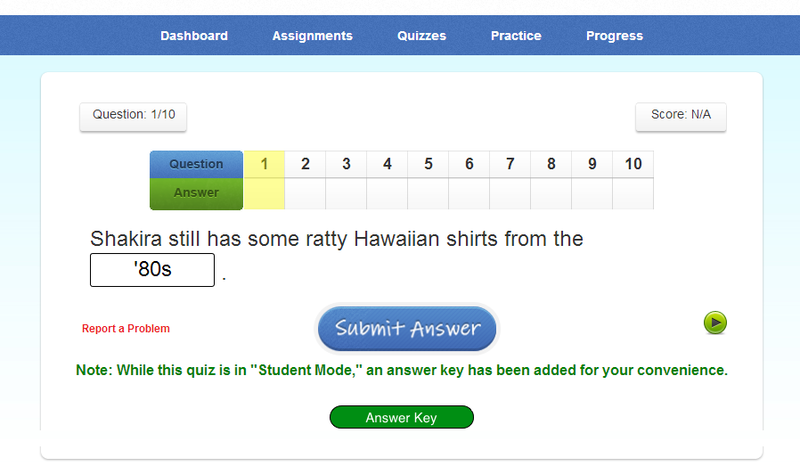 It also allows you to assign quizzes to students. I didn’t show any of that but it’s similar in format to the practice. I also LOVE that you are able to differentiate for students by assigning different assignments and then tracking their progress. Here’s a report of how my 3rd graders did. It starts by showing percentages for the overall skills. We only did this a couple times at the end of the year so it’s not the best data. Then you’re also able to drill down and see how students did on each sub skill. 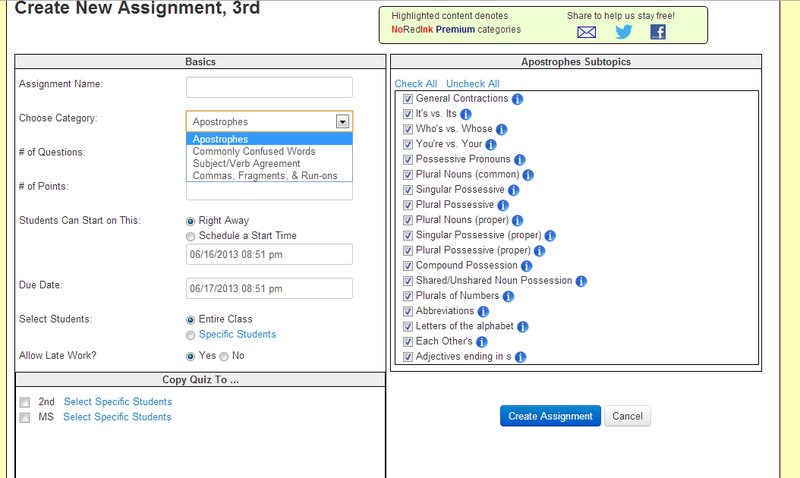 These match those check marks that were on the right on the create-an-assignment tab. As you can see, overall there were strengths and weaknesses and one student was lower than the other two. Again, since we only did this a few times, this isn’t the best data. But it did give me enough to know that I am going to continue to use this site with my classes of students in the future. I hope you find this site beneficial for you and your students. Check out the linky below for other fantastic websites that you can use in your classroom. This looks like such a great website! I am excited to save your post and come back to it once the school year starts! I hope it works for you and your students! Love finding out about new websites!! Thanks for sharing. Can't wait to try this site out, as well as share it with my colleagues. Our national test have just started to include grammar and punctuation. Think this will be super helpful. Thanks. This website sounds like something right up my alley! I'm going to check it out over the summer. Thanks for sharing.